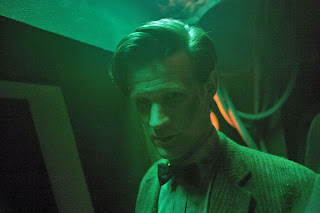 Life, Doctor Who & Combom: Australian Network ABC To air Doctor Who Immediately after UK on iView - But There's a Catch! Australian Network ABC To air Doctor Who Immediately after UK on iView - But There's a Catch! Recently, Australian network ABC announced that they would air Doctor Who a week after it aired here in the UK. This is because of Time Zones, where if they did air it on the Saturday, it would be 10 hours ahead of us. We can't have that. However, ABC have announced today that they will put up Asylum of the Daleks immediately after broadcast, at 5.10am Sunday EST, in the UK on their iPlayer equivalent service, iView. This allows for everyone in Australia to watch the episode on their computers and iOS devices. For Doctor Who fans, it is a fantastic opportunity to see new episodes within hours of them premiering in the UK – each episode will be available on iview on Sundays. ABC’s iview is the most watched catch-up service in Australia with 48% of online Australians aged 16+ having accessed iview. The new iview app for iphones and iPod Touch, launched on June 26, has seen a phenomenal 434,000 downloads recorded to date – with 210,000 downloads recorded in its first week. But now for that catch. For many, this may not make any difference, however for a few, it may make the biggest difference in the world. Be prepared for a little bit of geeky language. As we all know, Doctor Who is shot in and aired in lovely High Definition. However ABC's iView only shows videos at a maximum of 360p at 650kb/s, due to technical and cost restraints in Australia. In other words, this isn't even near to Standard Definition and with other solutions such as BBC iPlayer and downloads (and even some other streams) offering 360p, 480p and 720p, those of us who do not want to deal with very low quality video that only looks "ok" on an iPhone screen may decide to simply ignore it and remain with our current methods. There is also the possibility of it being late (like iPlayer often is) or the site going into meltdown if too many people try it. Though that may not come about as it is going to be online at 5am. Which is a bit of a downside in itself. 5am...on a Sunday. However, I think we can all agree that this is at least a step in the right direction. Think of it as the roles reversed. For us UKers to get anyone else's shows (like Americas), we must wait many months for it to come here on a mediocre channel (or even worse, one where you must pay for AND watch adverts on). perhaps they are working their way backwards to 425 line b/w?